Over the years, one of the most requested features of AstroPrint has been the ability to scale, rotate, and duplicate designs before printing. 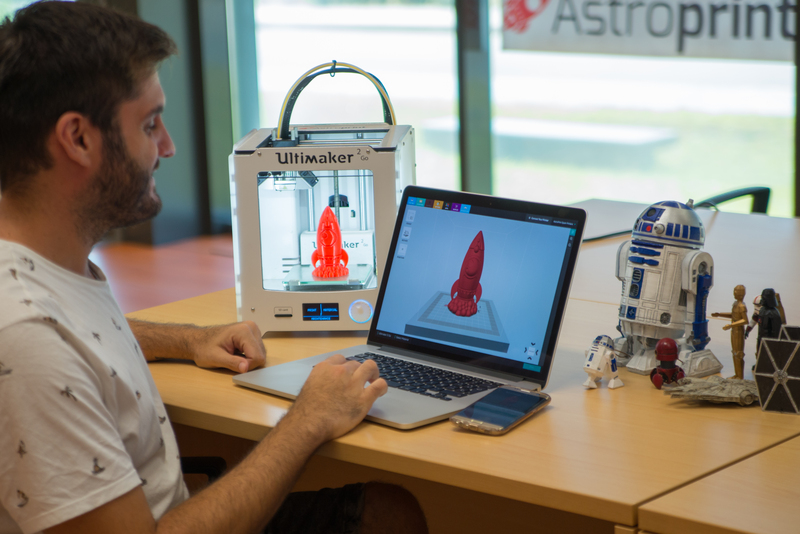 Since we didn’t have that ability before, users were forced to use other CAD software to manipulate their designs before exporting it back into AstroPrint. I have good news for you: You no longer need to go back and forth between software to manipulate your designs. After manipulating your design, all you need to do is click PRINT on the bottom right-hand corner. 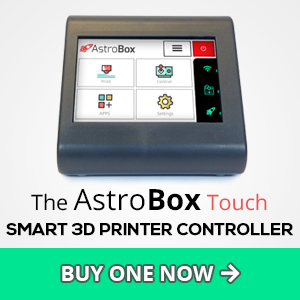 At this stage, you can choose to print to your local AstroBox or via the cloud. All you have to do is enter a name for your build plate (to identify it) and choose a printer. Side note: We are planning on introducing the ability to scale, rotate, and duplicate designs on our cloud platform in the future as well. Stay tuned. One of the cool features of AstroPrint Desktop is its ability to print via USB without the need for an AstroBox Gateway. 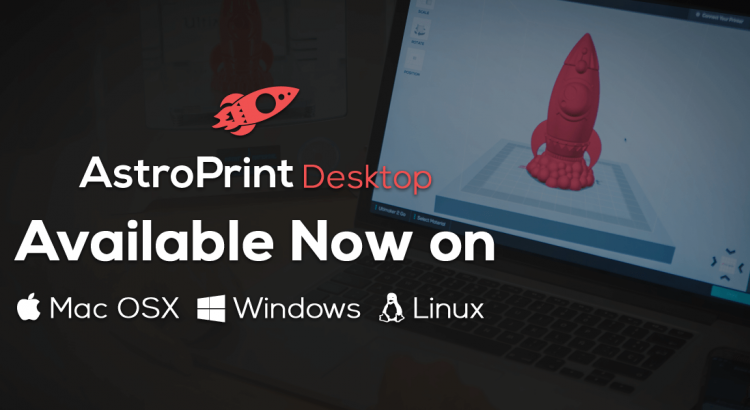 If you have NEVER used AstroPrint and have a compatible 3D Printer, AstroPrint Desktop is one of the best and easiest entry points into trying our platform. All you need to do is plug the printer in via USB to a laptop or desktop. 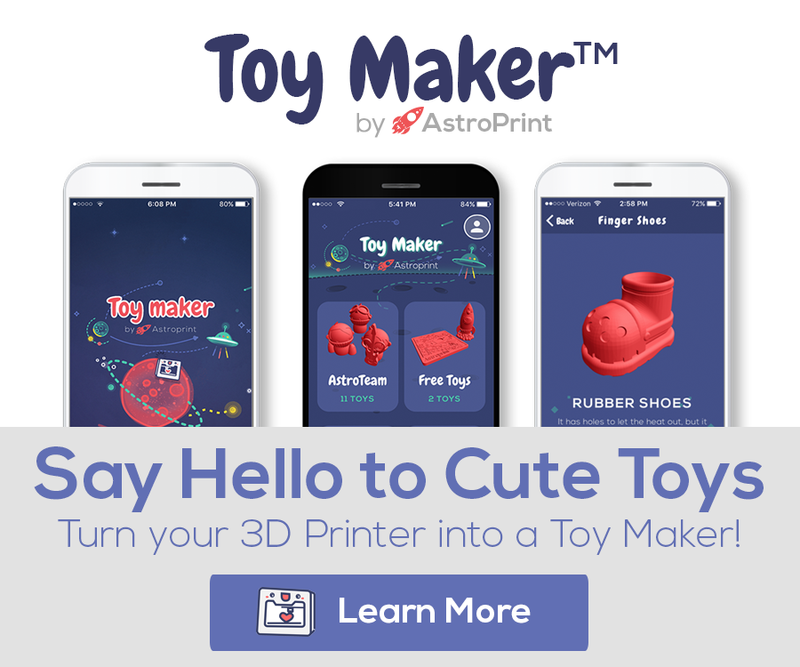 Side note: If you want to print via the cloud, you’ll still need an AstroBox connected to your 3D Printer. 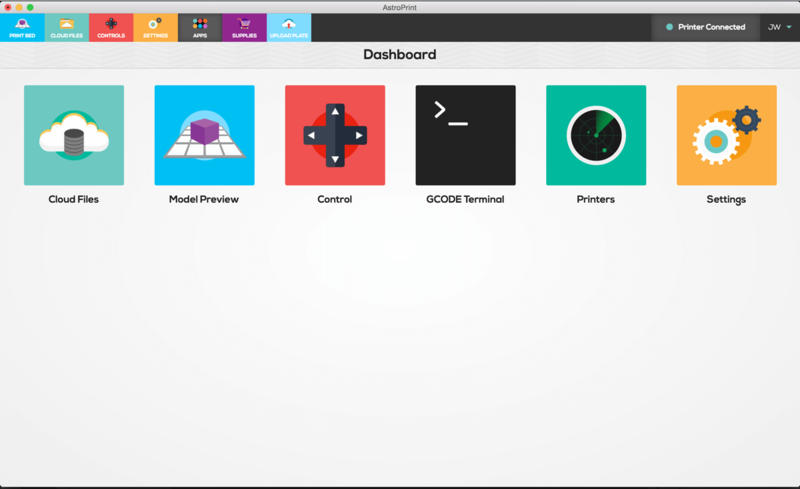 Plus, if you already have an AstroBox, your workflow will be much more pleasant with the addition of AstroPrint Desktop – even if you use your AstroBox purely offline. Another useful feature of AstroPrint Desktop is its ability to find your (local and cloud) printers with ease. Even if you plug in a brand new AstroBox via Ethernet, AstroPrint Desktop will find your AstroBox without needing to hunt down IP Addresses. It makes it VERY easy to find and set up brand new AstroBoxes. No need to be a nerd. Being a cloud platform, it wouldn’t make much sense if AstroPrint Desktop didn’t keep all of your files nice, tidy and in sync with your existing cloud account — so, cloud synchronicity is a fundamental component of AstroPrint Desktop. 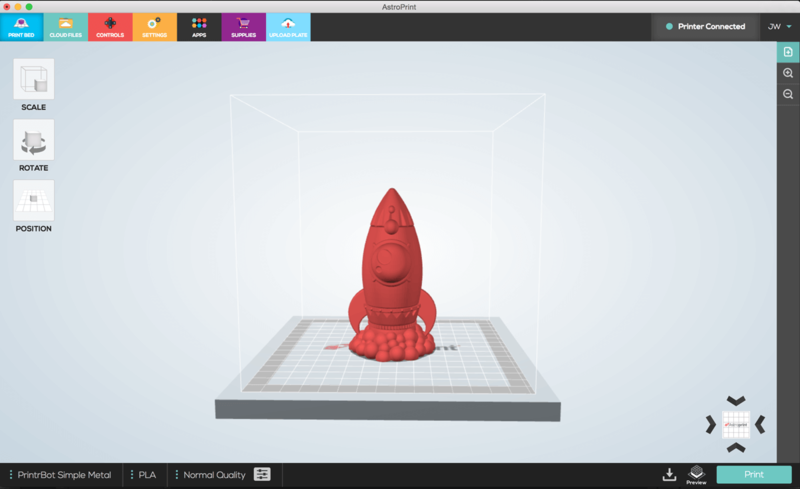 You can easily import any of your designs into AstroPrint Desktop, manipulate or duplicate them as needed and initiate a print within the app. Those are the main features of AstroPrint Desktop. 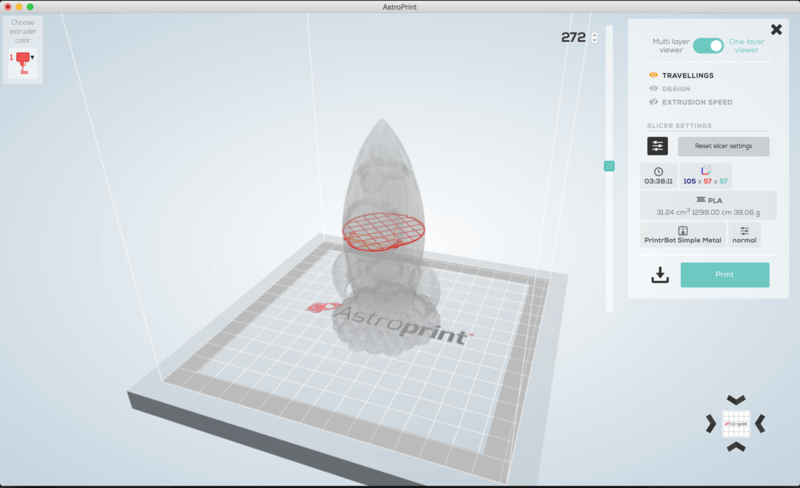 In a nutshell, that’s how AstroPrint Desktop works. If you have any suggestions on improving AstroPrint Desktop, please let us know via our forums or twitter. We make a concerted effort to incorporate your feedback into future iteration(s) of AstroPrint Desktop – your feedback is what drives our platform. Thanks!